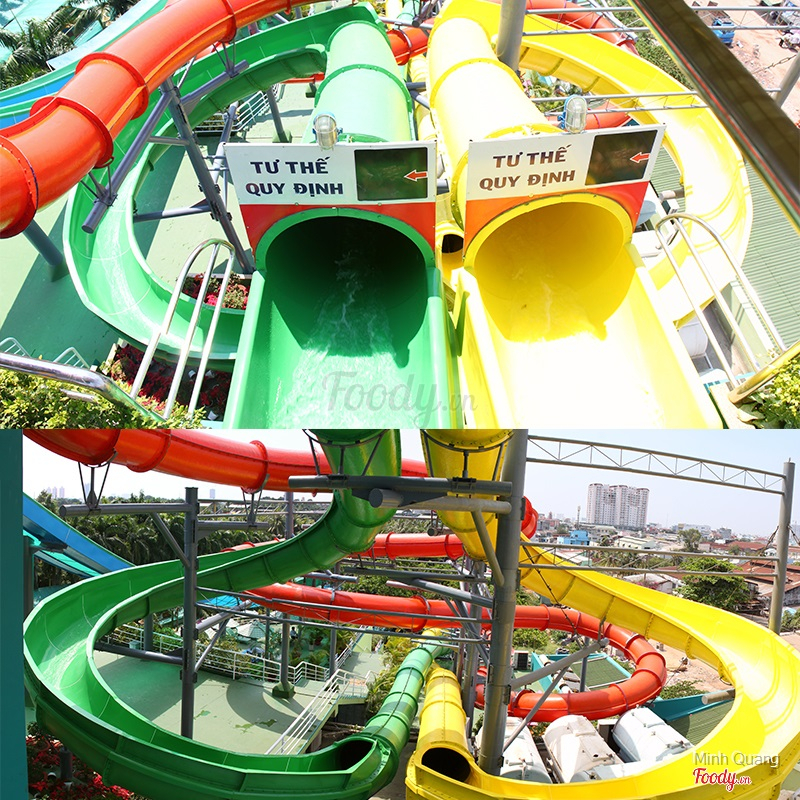 Dam Sen Cultural Park (Công viên Văn hóa Đầm Sen) is an amusement park located in District 11,Ho Chi Minh Cirty. The park has an area of 50 hectares, of which 20% comprises lakes and 60% trees and gardens. The park comprises 30 areas: an electric games zone, folk tales theater, antique castle, square, small west lake, Nam Tu royal garden, rock garden, and water palace, dancing island, sea life center, subaquatic puppet thearter, ancient Giac Vien pagoda, butterfly garden, fishing area, ky long display zone, tea store, adventure games zone, swan lake, horse’s gallop lake, western flower garden, ancient Rome-themed square, cultural square, water musical scene, bowling area, sport services area, crayfish fishing lake, Thuy Ta restaurant, children’s play area, picture lamps, nine fragment edge, Monorail station, and Monorail track. The tropical garden contains more than 70 species of birds and 20 species of animals. 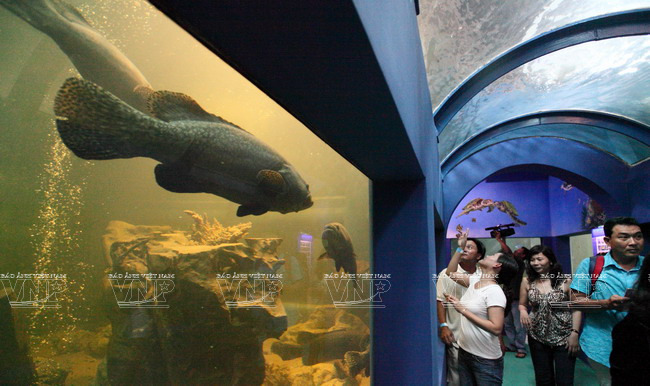 A 22-meter-high rock garden contains several waterfalls and caves, the largest cavern of which is decorated as a water palace and holds many colorful fishes. The Nam Tu royal garden features an orchidaceous garden and valuable bonsai ornamental trees. 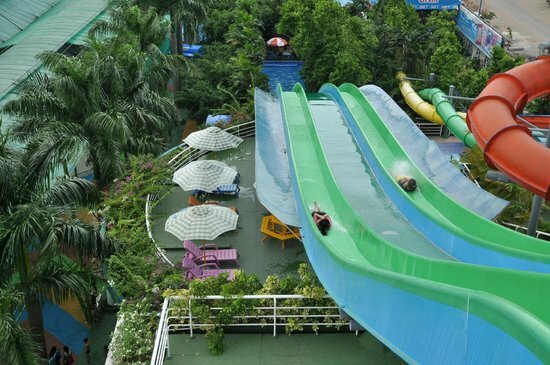 The park’s adventure playgrounds and activities, including slide yard, electric car, high speed slide train, and water park, are popular with teenagers. The park has a number of features unique in Vietnam: its 2 km monorail, affording views from five meters above the ground; adventure boats that cross the waterfall; and the unusual “Roman” square, featuring European flowers including roses,classical Roma-style stone pillars, statues, and a musical water show with 3,000 seats. This water display, located just behind the European flower garden, was built in 2005 at a cost of 12 billion dong and placed behind the Europe flower garden. It features a musical performance on a specially designed stage featuring water sparys and laser lights, with films projected onto a 28-meter-high screen of water. The technique was based on a similar display in Sentosa Island (www.sentosa.com.sg), Singapore.